Tyler Sims, 18, is accused of threatening to kill two officers following a disturbance on Monday afternoon. 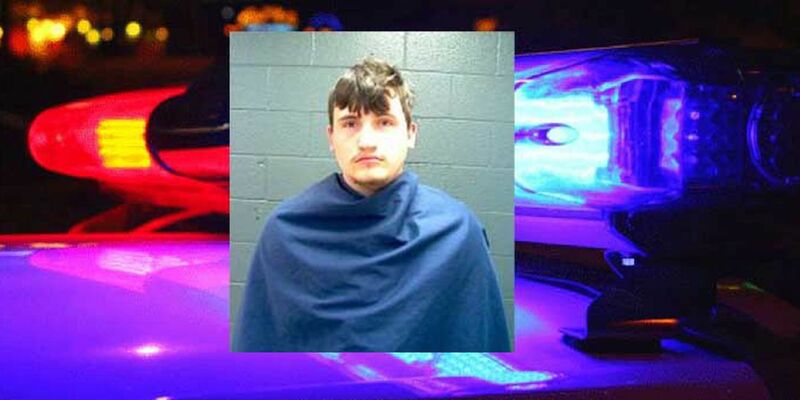 WICHITA FALLS, TX (TNN) - An Eastland, Texas man has been booked into the Wichita Co. Jail and charged with Terroristic Threat following an incident on Monday afternoon. Around 5:15 p.m. officers were dispatched to a home in the 1200 block of Kenley for a disturbance. Officers said the parties involved were separated after the situation was calmed down. Some went inside a residence and the suspect, later identified as Tyler Sims, 18, began to walk away. As the officers walked back to their vehicles, Sims turned around and came walking back towards the residence. It is alleged Sims then pulled out his cell phone and called 911 asking for two new officers because he was about to kill the two that were there. The officers, overhearing this threat arrested Sims after a brief physical struggle. At the time this story was published, Sims remained in the Wichita Co. Jail on a $5,000 bond.